About 65% of the population in Sub-Saharan Africa lives in rural areas and due to the strong dependency on agricultural production mainly the rural population is affected by income shortfalls. To cope with this situation, households are deriving various strategies to spread these risks and smooth their income. One of these strategies is the participation in nonfarm employment due to its independency regarding agricultural risks, but researchers have already indicated that households may face several entry barriers to the nonfarm sector. For Ghana, the author shows whether households perceiving their environment as risky expand their extent of nonfarm employment and whether the endowment with valuable physical capital can serve as a risk-coping strategy on its own. 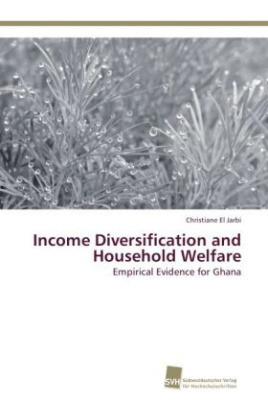 Additionally, the most important entry barriers to the Ghanaian nonfarm sector are revealed and the impact of nonfarm income diversification on the poverty status and the household welfare is analysed. The author identifies the main beneficiaries from nonfarm employment and recommendations for policy makers are presented.